Michele Pearson | The Pearson Law Firm, P.S. Originally from New York State, Michele had dreamed of a legal career from a young age. For a time, circumstances brought her instead to work at several large corporations and advertising agencies, including one that she owned. Before leaving corporate America to return to school, Michele worked for New Jersey Bell Telephone, Johnson & Johnson and Microsoft, often in management positions requiring oversight, shepherding and presentation of complex long term projects, not unlike the practice of law. She attended the University of Washington and received her degree in Comparative History of Ideas (Major: Intellectual History; Minor: History) and for part of that time studied in Rome, Italy. While at UW, Michele created and taught a 2-credit course for “law school bound” undergrads. Michele graduated from Seattle University School of Law in 2002 while working at the law firm. After bar admission, she immediately began to litigate. Excellent results, against experienced defense teams, illustrate Michele’s tenacity and advocacy even early on. She has a long history of volunteerism often on behalf of the underprivileged. She co-taught the Washington State Association for Justice “Peoples Law School” at Bellevue College in 2003, served as the WSAJ “Trial News” Editor in Chief from 2005-2007, during which she also served on the WSAJ Board of Governors. She is an active member of the Washington State Association for Justice (WSAJ). 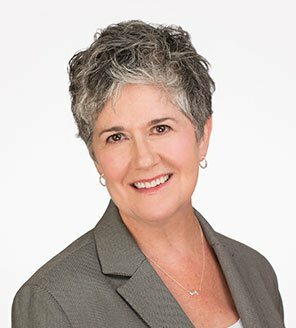 Michele is also a former instructor in the Keenan Ball College, based in Atlanta, which trains plaintiff’s attorneys on cutting edge and highly researched trial skills and focus groups. In July 2014, Michele graduated from the Trial Lawyers College (TLC), an invitation-only 24-day trial skills program held in DuBois, Wyoming. Created by Gerry Spence in 1994, TLC focuses on developing skills utilized throughout litigation.